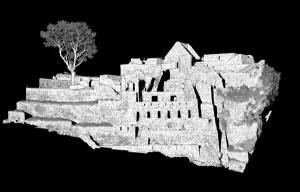 In 2005 and 2009, researchers from CAST used the Optech ILRIS-3D laser scanner to scan the ancient ruins of Machu Picchu in Peru. 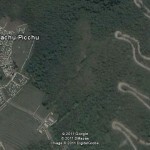 To read more about the survey, please visit the section on Machu Picchu Project Details. Several data sets from the Machu Picchu survey are available here as point clouds in the Polyworks PWK format (as IMInspect projects) or .obj polygonal mesh. For the PWK formats we recommend using the free Polyworks | Viewer (previously the Polyworks IM Viewer), and for the obj files we recommend Rapidform Geomagic Verify Viewer (previously the Rapidform Explorer). To open a PWZIP file – click on the .pwzip link below and save the file; if you are using Mozilla Firefox, right click on the link and save the file. Open IMView, left click on “File” at the top of the screen. Select “Open project”, then “Add Workspace” and browse to the .pwzip’s saved location. Next, choose a local location to extract the files. The files will unzip and the project will appear in IMView’s workspace file structure. Left click on the project and open. MP_closeup_reduced.pwk is our “enticer” data set for Machu Picchu and has been reduced for *relatively quick download and viewing. The data have been subset from a single scan and reduced by half (from an original data resolution of 3 centimenters). The scan area covers the central portion of the site featuring several structures and a small “plaza” area. In the scan, you can see the beautiful details of the Incan masonry that was acquired with the laser scanner. This data set contains slightly less than one million data points. Data developed under the authority of the Instituto Nacional de Cultura, Vladimir Dávila – Arquitecto del P.A.N Machu Picchu, Director del P.A.N Machu Picchu Direccion Regional de Cultura Cusco and Fernando Astete – National Archaeological Park of Machu Picchu. Data acquired, processed and distributed by the Center for Advanced Spatial Technologies staff (Snow Winters, Malcolm Williamson and Katie Simon) and by students in the 2009 Cotsen Institute for Archaeology (UCLA) Cuzco/Machu Picchu Field School, Alexei Vranich Director. Please cite this document as: Winters, Snow. 2011. Machu Picchu, Peru – Central area.CAST Technical Publications Series. Number 7346. http://gmv.cast.uark.edu/region-data/region/peru/machu-picchu-peru-central-area-2/. [Date accessed: 22 April 2019]. [Last Updated: 22 March 2018]. Disclaimer: All logos and trademarks remain the property of their respective owners.